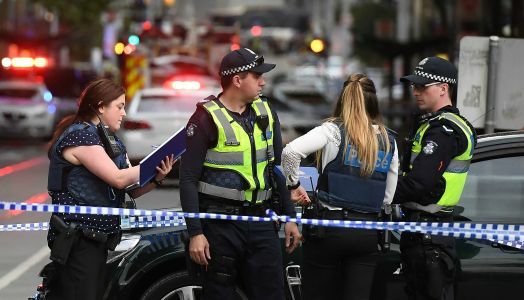 Australian police have shot a man brandishing a knife after one person was stabbed to death and two more injured in a seemingly random rampage in central Melbourne today. One person has been murdered and two others are in hospital after a knife attack in Melbourne. A man went on the rampage in the Australian city and continued lashing out at police officers who were first on the scene. 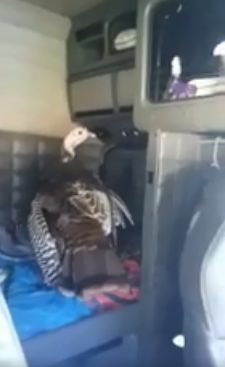 A man with a trolley could be seen trying to help police to contain the suspect as he continued to lunge at them with his weapon. One person was killed and two are in hospital after a man attacked police and members of the public with a knife in Melbourne. 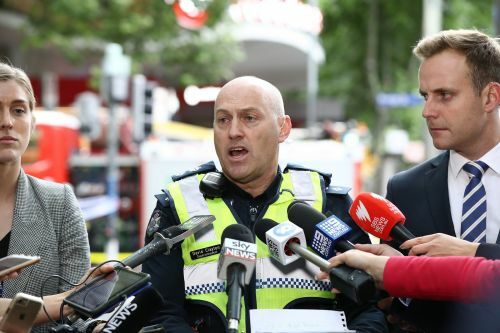 What we know so far One person has been stabbed to death, two have been injured, and another man has been shot by police in terrifying scenes on Melbourne's Bourke Street on Friday. Witnesses said they heard a loud explosion and saw a car bust into flames outside Target on Bourke Street, between Swanston and Russell Streets, about 4.20pm.